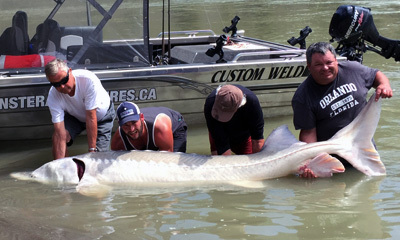 Catch Monster Sturgeon from a jetboat with BC’s Sturgeon Whisperer and the team who caught the Fraser River’s legendary Pig Nose, the Loch Ness Monster of White Sturgeon! Enjoy pro-guide trips for adventurous anglers of all ages and skill levels. 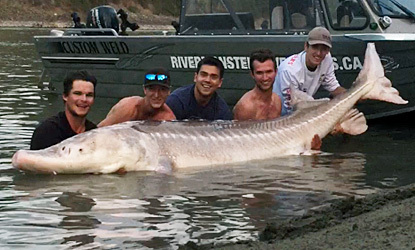 Bring the whole family, your corporate crew or just come alone and join the hunt for the largest freshwater fish in North America at incredibly scenic hot spot locations on the Fraser River. It’s not too far from home but far from your ordinary weekend. Come and catch your own this summer! One picture is worth more than a thousand fish stories. 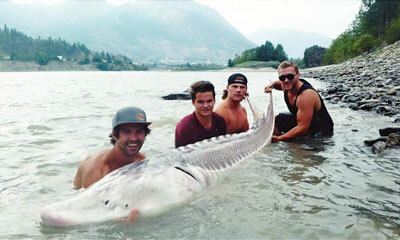 See our recent giant Sturgeon landings! Starting at $400 per person for groups of 4 or more! 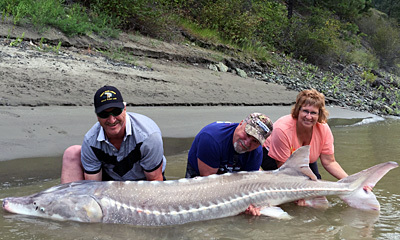 It’s the fishing adventure of a lifetime in beautiful southern British Columbia. Video clips and news coverage from the legendary Pignose landing and more! 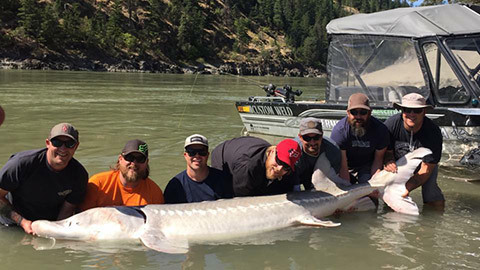 With an average of SIX to ELEVEN STURGEON LANDINGS per day trip, get ready to capture your own world-class trophy with River Monster Adventures. Planning to stay overnight? See our River Monster recommended locations. 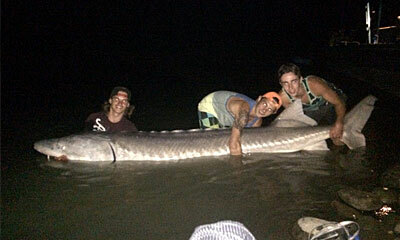 A must-see video for all who fish this remarkable species, every angler who books with River Monster Adventures is required to watch this short clip, read the following document and thereby follow the current practices for handling a sturgeon safely. After making national headlines last August for landing and being the first to capture on video “Pig Nose”, BC’s infamous 700lbs+ giant, Pro-Guide Nick McCabe is the first to land him again, just 12 months later.